The Bad: Ironically enough, it may just be Kevin Hart. As I said before, his brand of comedy can be a force for good, but it can also be a deterrent for those who just simply don't find him funny. Unlike the previous film where he was showcased for about 35-40% of the movie, this film highlights him much more. (Maybe about 50-60% of the movie) So if you're not a K. Hart fan, you'll probably be way more annoyed than entertained. Oh, and I do believe that Gary Owen's comedic prowess was severely under utilized. I just think that he was held back and, as ironic as it may sound, the "boring white guy" role just doesn't suit him very well. 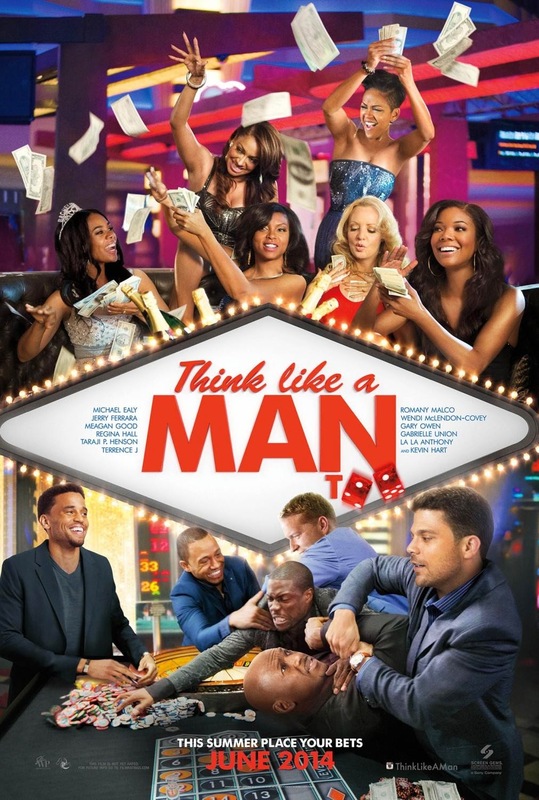 The Reason: As was the case with the previous Think Like A Man film, this movie makes for the perfect date movie. My rating is simply based on its "dating appeal" and not the merit of the movie itself. If you were to watch this film at home, or by yourself, it may not have the same effect. I'm sure many people in relationships will be able to identify, at some level, with one of the couples.The best way I could describe this film is probably as The Hangover + Romantic comedy + Kevin Hart: Laugh at My Pain. Luckily for this movie, it didn't fall victim to being just another stereotypical "Black Movie". Prepare for some good comedy and, surprisingly towards the end, some insightful drama. Find a date, go to the theater, and enjoy this movie.